This page contains biographies and photos of the creators of El Toque de Candombe, the title of a book, a clinic for musicians, a musical workshop for schools, and also of live concerts. He began his professional career in 1969 in Montevideo, where he was born, in the Republic of Uruguay, playing in the 'Fuego para la Lonja' (Fire for the Drumskin) Comparsa, and later in the 'Acuarela de Candombe' (Candombe Watercolor) Comparsa. In 1975 he joined the 'Kanela y su Baracutanga' drum corps as drum chief, working with Composer Eduardo Da Luz. He took part in the 'Central' and 'Senegal' comparsas, and with the latter achieved third place in the 'Parade of the Drum Calls' (Desfile de Llamadas). In 1988 he took part in the Cosquín Festival with 'Yabor', played several times at the Teatro San Martín in Buenos Aires, Argentina, and appeared on television shows. He has taught classes on Candombe at the Tandil municipality and held musical workshops at the San Martín and Vicente López municipalities in the province of Buenos Aires, Argentina, which he still does today. He took part in the First Meeting of Afro-American Cultures at the Bauen Hotel, presenting Candombe as an expression of Uruguayan and River Plate culture and music. He has played in countless concerts with distinguished musicians like Ricardo Nolé, Ricardo Lew, Rubén Rada and Pablo Enriquez, and he took part in the 'Candombazo' (super Candombe Festival) in the Obras sports stadium in the city of Buenos Aires. 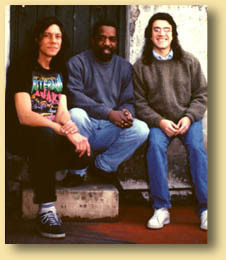 He was part of the Raíces (Roots) musical group led by Beto Satragni with appearances in Montevideo and Buenos Aires, and cut two records with this group, Empalme (Junction) and Ey Bo Road. He was specially invited, together with the drum corps, to appear in concerts given by singers Soledad and Natalia Oreiro, in the Gran Rex Theater in Buenos Aires and on tour in Argentina. Among recordings in which he took part may be mentioned 'Para los Indios Tobas' (For the Tobas Indians) with Mercedes Sosa, Soledad Live, Opus Cuatro, Nora Sarmoria, the Procanto Choir of La Plata City, Litto Nebia and Quintino Cinalli. He started out professionally in 1972 in his native city of Montevideo, Uruguay. He was co-founder of the 'Vendabá', a musical group which combined Candombe Song and Candombe Funk. As a member of different groups he took part in recordings, television shows and concerts in various cities like Stockholm, Copenhagen, Brussels and also in the French Antilles (Guadeloupe and St. Martin). He participated several times in the Mardel Jazz Festival in the Argentine resort city of Mar del Plata, with the Jorge Sadi Quintet and other musicians. 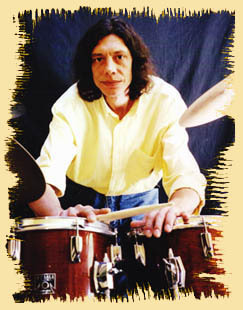 He gives music classes and drumset clinics, in which he accompanies Argentine guitarist Fico de Castro. He has authored the drumset method books 'Double Pedal and Double Bass' and 'Breaks' (Published by Ellisound). He has played in the bands of performers Soledad, Natalia Oreiro, Ricaro Nolé, Jorge Costa, Nilce Veira, Toninho Ramos, Cacho Tejera, Ricardo Lew, Alejandro Franov, Luis Firpo, Chango Spasiuk, Oscar Kreimer, Fernando Lerman, Alejandro Herrera, Richard Nant, Pablo Santos, Daniel Copquin, Yabor, and others. He began to perform professionally in 1976 in his native Montevideo. He is an experienced musician, producer and teacher. As a professional bass player he has taken part in recordings, television appearances and music tours with different performers in 14 countries. Among others may be mentioned performances with the Brazilian singer María Creuza, with 'Los Iracundos' group, and for one year and a half of residence in Sweden with the 'Latin Lover' group of Saxophonist Hector Bingert. Jorge won two scholarships for the Berkley College of Music. As producer he received a gold record in Uruguay for 'Tontos al Natural' (Plain Fools) by the Rock group Los Tontos (The Fools). 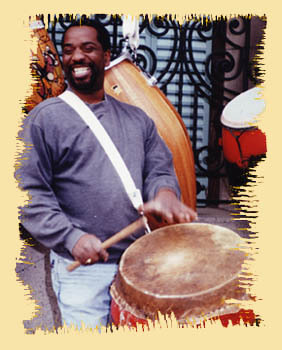 He gave shows and made recordings of Candombe with Jorginho Gularte, Mario 'Chichito' Cabral, Yabor, and others. He has performed with 'Zafhfaroni', the Jorge Sadi Quintet and the Jorge Sadi-Luis Firpo Band in international jazz festivals, where he played his own compositions. 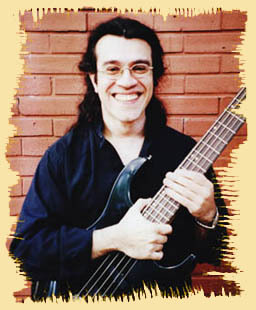 He is the author of the books 'Visualizing Scales for Bass' and 'Visualizing Scales for Guitar', and he is co-author with guitarist Fico de Castro of 'Scales and Chords Applied to Improvisation'.